do you remember when most kids had perfect teeth? i do. my mother taught me to use a wood stick. i forgot for 4o years, now after a lot of surface work, i use hyd. perox. 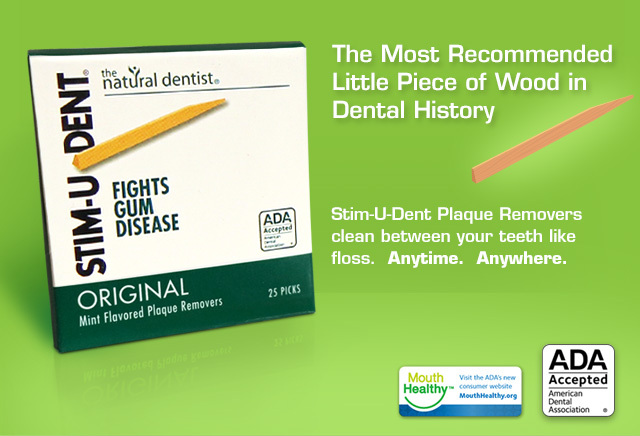 and WOODSTICK for PERFECT TEETH! I have used interdens since my mother introduced them to me as a child, in the 1960′s. They are the next best thing to having a neem tree – and they are affordable. They make sense to children, to adults to everyone. Get them. You won’t regret it. next to gum. Use gentle in-out motion. surfaces not reachable by a toothbrush. Help you keep your natural teeth for life. From those surfaces of the teeth and gums which are not reached by ordinary toothbrushing. can cause inflammation of the gums. will help you maintain a healthy dental condition. effect for care of tender gums. Use for children only on dental recommendation. Hold interdens stick near the centre of its length. Moisten pointed end in mouth. 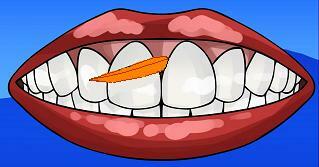 Insert in tooth space, blunt edge next to gum. Use gentle in-out motion. 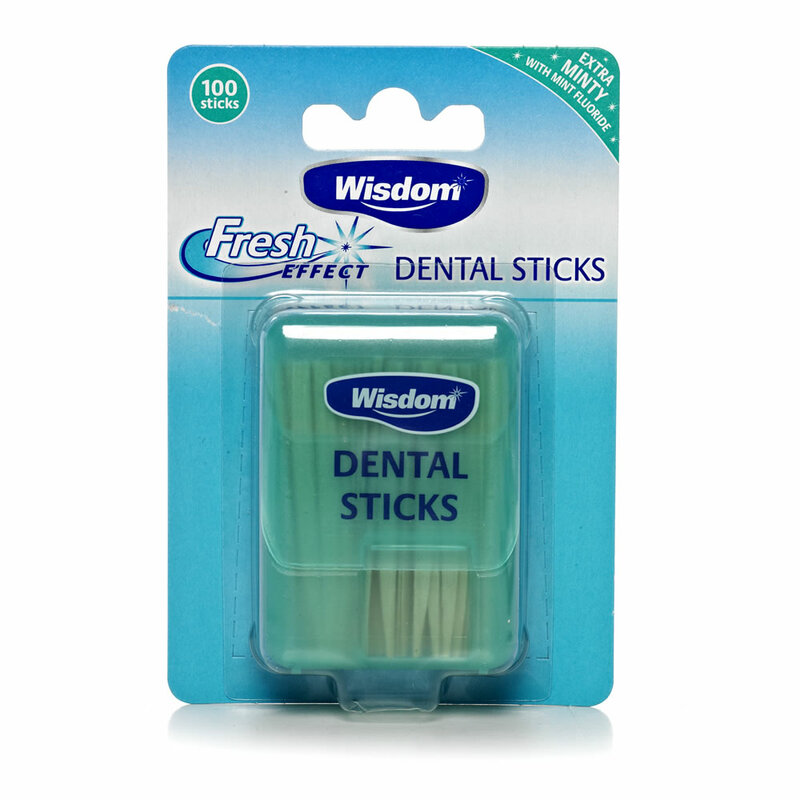 Interdens sticks remove plaque fromthe interdental spaces, cleansing surfaces not reachable by a toothbrush. Help you keep your natural teeth for life. Use anywhere, any time. Interdens are recognized by the dental profession as a valuable aid to good oral hygiene and health. They are produced from a specially selected grade of wood for their ideal texture, and are impregnated with a breath freshener to refresh the mouth. Regular use of interdens effectively remove plaque (a sticky, bacteria containing film) from those surfaces of the teeth and gums which are not reached by ordinary toothbrushing. The bacteria in the plaque change sugar from food which we eat or drink, into acid, which attacks the enamel of tooth causing caries (decay). They also produce toxins which can cause inflammation of the gums. Removal of the plaque by a regular daily use of toothbrushing techniques and interdens will help you maintain a healthy dental condition. 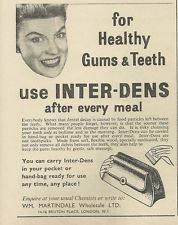 With a proper programme of oral hygiene you and interdens can help keep your natural teeth for life. Please note interdens may be soaked for a period in warm water which has a softening effect for care of tender gums. Use for children only on dental recommendation. 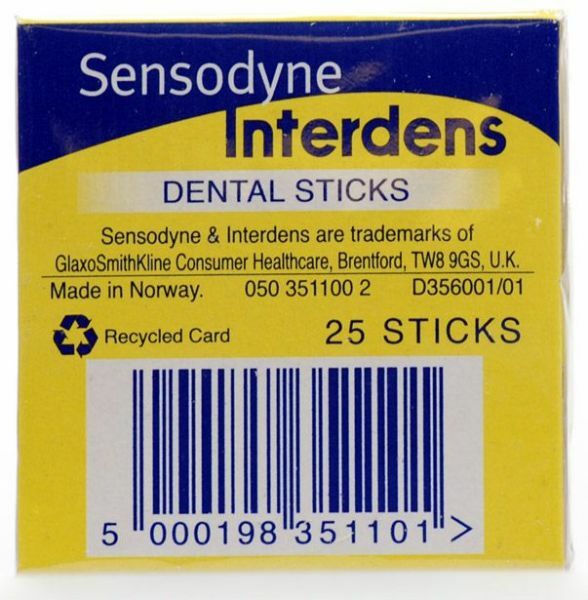 Now that Interdens are not available at every Chemist in Australia (chemists are no longer offered them, probably because they are no longer supplied by the usual companies, Oral B and Sensodyne), the alternative is Jordon Dental Sticks, an inferior product, in many user’s estimation – the Interden was made of orangewood. 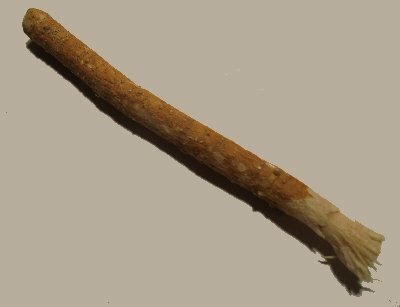 The Jordon dental stick is made of Birch. 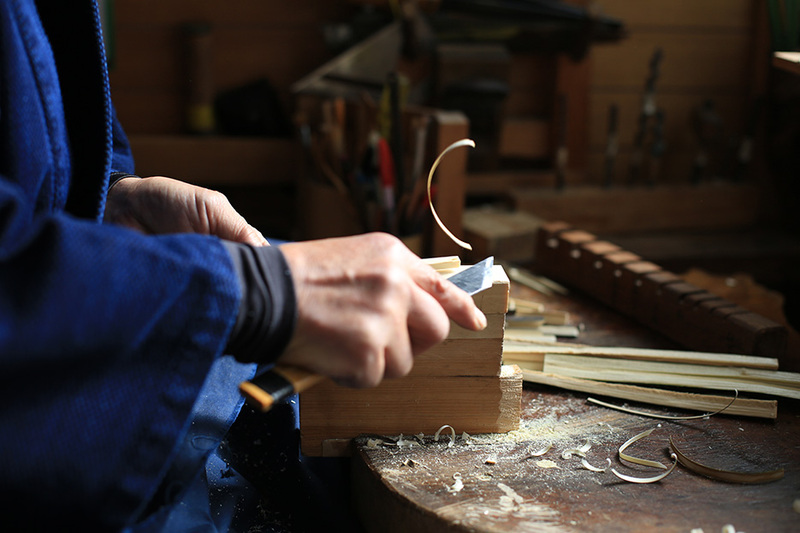 Does the job equally well, if not better, as the birch is not so smooth, slightly more rough than the orange wood, though they break more easily. The orange wood was soooooo comfortable! 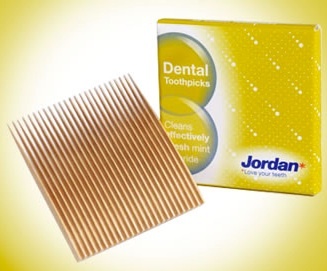 The Jordon Dental Stick is hugely expensive compared to the Oral B and Interden by Sensodyne. AUS 14.50 + AUD 6 Post for all Australia. = 2050 cents divided by 12 combs = $1.71 per comb = 6.8 cents each stick. A not inexpensive product distributed in Australia by Wisdom. Is it wise to support this company? You are the one with the money. I did find some in a chemist in West End Brisbane and to my dismay, it is laced with fluoride. 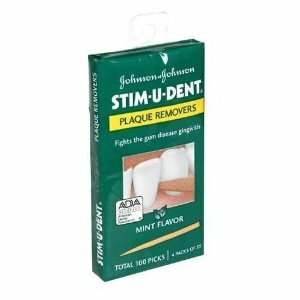 Jordan has four Dental Stick Products: I do not know where one can buy the first 3, the 4th can be bought in Aust. 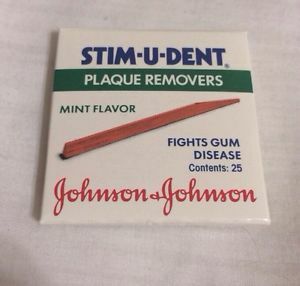 – the product mentioned above, “Jordon Dental Sticks” – probably a good thing. If they are putting flouride in the Jordan, I can imagine that it is “open slather” when it comes to what chemical cocktail could we devise for a lovely minty-type flavouring? In the middle of the 1960s oral health started to become a matter of serious public interest. At that time Jordan established links with a hygienist at the Department of Dentistry while the production department employed a designer for the first time. The purpose of these innovative moves was to ensure that Jordan maintained a consistent developmental lead over the competition, a task that was seen as the highest priority. In 1966, Jordan decided to work all-out on the production of dental sticks. It was one of the leading periodontists, Professor Jens Wærhaug, who suggested that Jordan should develop and produce dental sticks. The goal was to create a cleaner for dental spaces which would be both more effective and easier to use than dental floss. Although many were sceptical Jordan chose to follow this advice and the product was subsequently proven to be viable. However, the new product required new production methods. Hand milling the plates proved to be time consuming and expensive, so the company decided to construct a fully automated machine that could produce 40 000 dental sticks per sheet. Another specially developed product, which over the years has shown steady growth, was introduced at this time: the single-pack dental stick. From modest beginnings in the 1980s, demand for this product has grown over the years and they can now be found on most flights and restaurants throughout Europe. With the move into dental sticks Jordan realised that it needed to relocate its wood store, then located in Oslo, to a location near to where the raw materials were produced. This would result in substantial savings in transportation costs, a reduction in inventory, and the release of valuable assets. Åsnes municipality, located in Solør, was selected as the ideal location. It was close to the supply of timber and the site was 38 acres in size with the option to purchase an additional 30 acres. Jordan’s offer was accepted and the planning of a new and modern wood factory at Flisa begun. 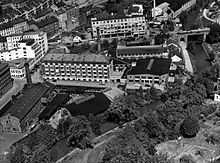 In autumn 1967, the turf cutting ceremony took place and by the end of 1968-1969, after a brief period of trial and the commissioning of machines, regular production started on the site and the wood division completed its move from Oslo to Flisa. Over the next few years, other production capabilities were transferred from Oslo to Flisa, and by the end of 1972 the factory had 60 employees. This year saw Jordan awarded the Norwegian Trade Council’s prize for exports, sponsored by SAS. The award was made in recognition of the company’s pioneering efforts in export marketing. Later that year, dental floss was introduced to the oral hygiene range, while mouthwash was introduced in the Norwegian market. Along with toothbrushes, dental floss and dental sticks this created a comprehensive oral care offer from Jordan. from the facebook page: With recent innovations and the introduction of new products the dental stick is going through a resurgence in popularity and for very good reasons. You see every tooth has five surfaces yet the toothbrush cleans only three of them – the wooden dental stick has a triangular shape that copies the interdental space much better than a nylon brush or tape enabling you to reach the last two surfaces between the teeth. More than this though the wooden stick has a few very distinct advantages – the fibres in the wood have much better cleaning effect than a nylon brush or tape and secondly the wooden dental sticks contains fluoride to help fluoridate those hard to reach places and of course the wooden dental stick is environmentally friendly. 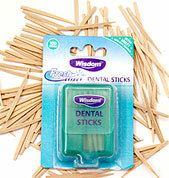 To order Jordan dental sticks please email info@wisdombrands.com.au or phone 1300 055 676. The brand Dr. Dental Spa was created in 2012 by Dr. Fred M. Timmermans, DDS In New Zealand. He was very dissapointed that there were hardly any good interdental cleaners on the market that were also ecologically friendly. More and more plastic products have entered on the market, but none with the qualities of an anatomically formed wooden stick. So here was an opportunity to create a better and more sustainable product for a really affordable price. The name was chosen because Dr Timmermans has created a Dental Spa in Picton New Zealand, a very special dental practice with holistic healing and a passion for prevention. 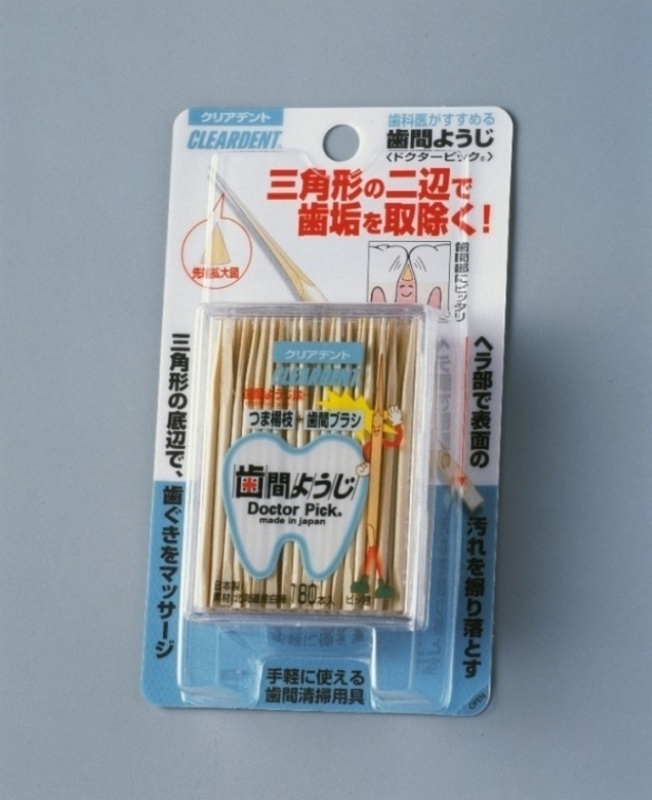 A new and patented product that combines the ease and convenience of regular toothpicks and the medical benefits of triangular dental sticks recommended by dentists. 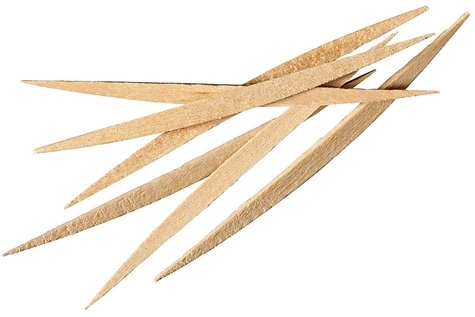 Regular toothpicks with widespread use after meals are rounded in diameter. When penetrating the interdental area between two teeth, they put pressure on the gums and cause injuries to them. 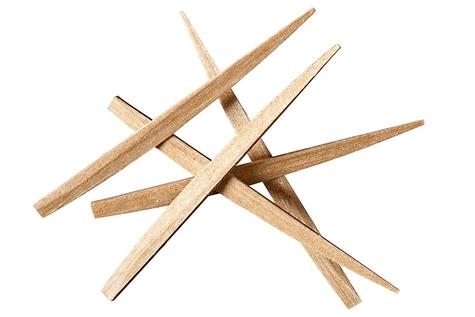 The new, patented triangle-shape toothpick features a precise cut that gives the tip of the stick a triangle shape, while at the same time offering all the convenience of ordinary toothpicks. Dentists recommend triangular shaped toothpicks as handy tool for interdental cleaning. 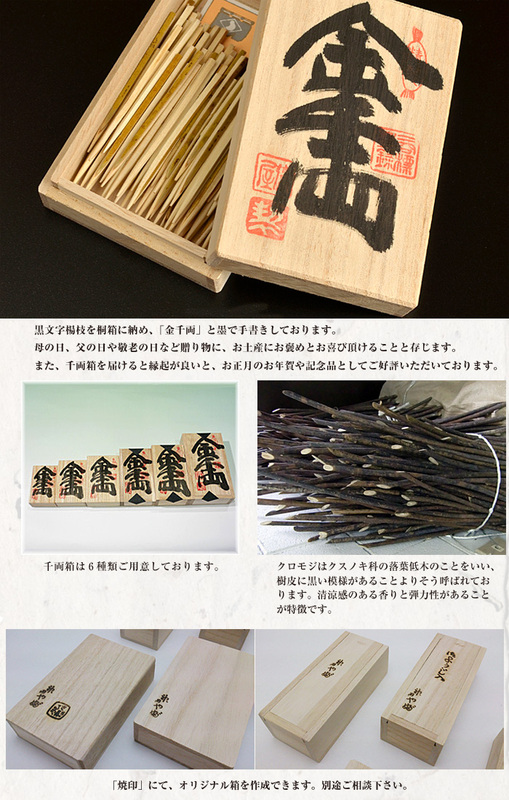 Toothpicks as they are known today originate to a great extent from Japan, where a hole city became known as the capital of toothpick-making. Scanderra Japan Picks originate from this city. 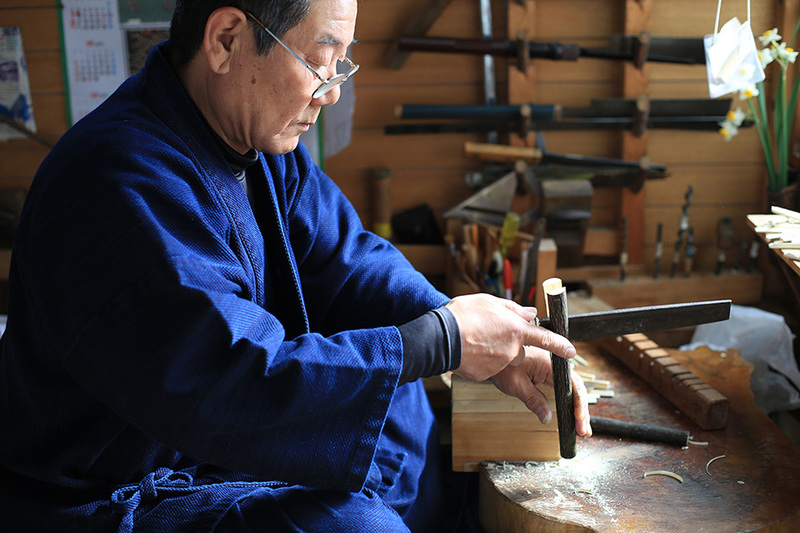 They are still made there using original Japanese birch tree wood. For the new generation of toothpicks, a special processing technique has been developed under technical guidance of the Japanese University Research Centre REC and combines the expertise and craftsmanship of a toothpick producer in third generation and modern automatised and computer-controlled production techniques. 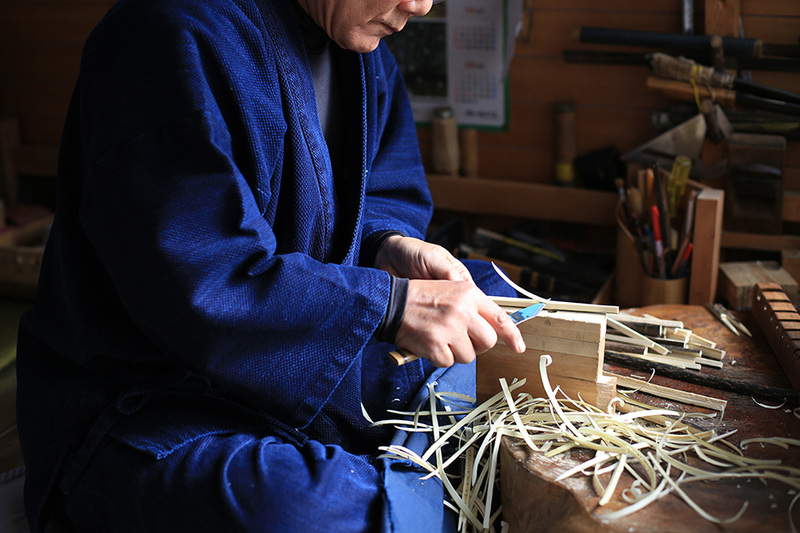 The raw material for the first Japanese toothpicks was obtained from Kawachinagano near Osaka. 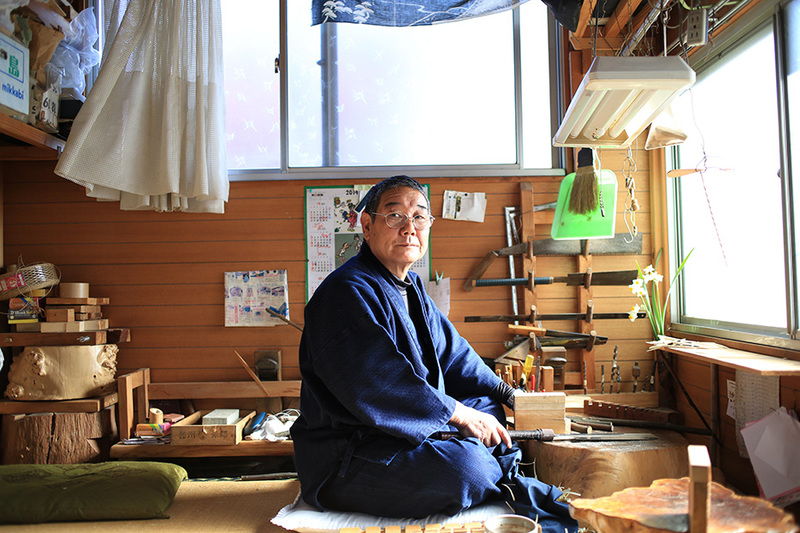 The first toothpick makers settled there and became world-renowned for their quality products. Although most have vanished due to international competition, some specialized makers still survive. 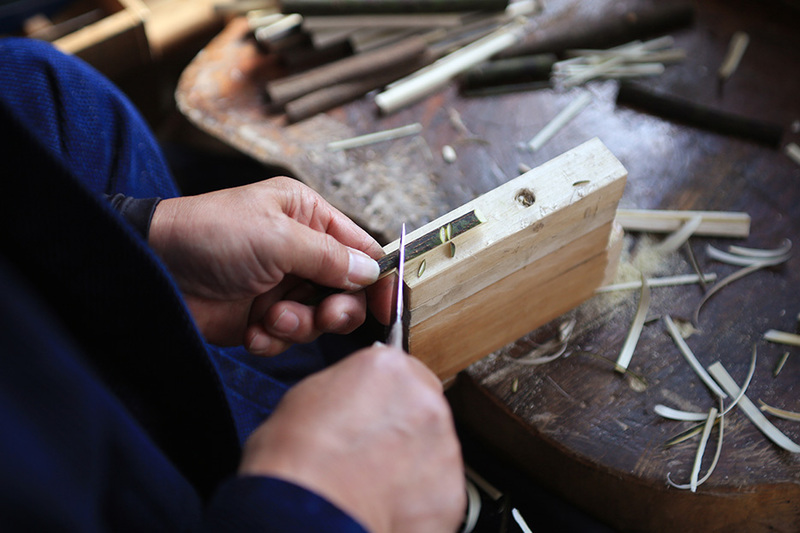 Japan Picks are still manufactured in Kawachinagano and follow the great traditions and craftsmanship of Japanese toothpick making. 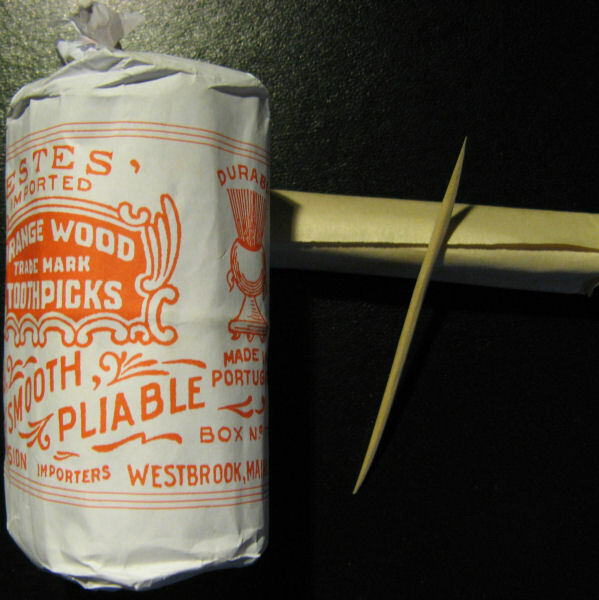 In Europe, toothpicks have a relatively short history. They became popular among the aristocracy of the middle ages. 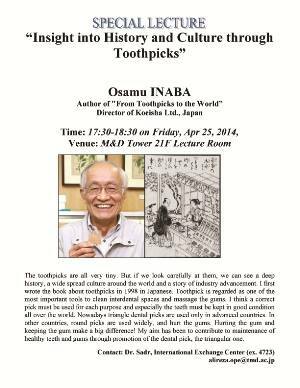 In Asia, on the other hand, toothpicks, whose birthplace is India, travelled with Buddhism to China, Korea and then in 538 AD to Japan. In Buddhist tradition, the toothpick is the first out of the «18 Essential Items» that a Buddhist monk is allowed to possess. 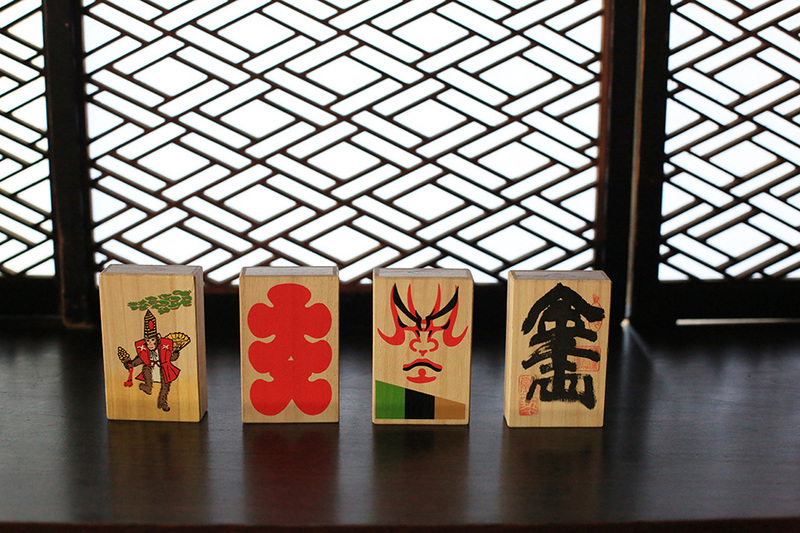 Japanese birch wood picks with mint flavor from edel+white® are really refined! With their elegant three-edged form, the nearly unbreakable Japanese birch wood and the refreshing flavor they represent the finishing touch of every sophisticated table and cuisine. 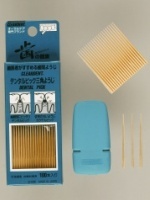 edel+white® Japan Picks combine the convenience of triangular-cut dental sticks with regular toothpicks. 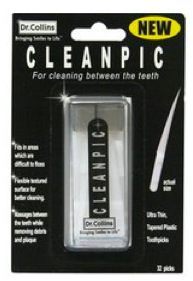 The triangular cut perfectly matches the shape of the spaces between teeth and cleans them without harming the gums. 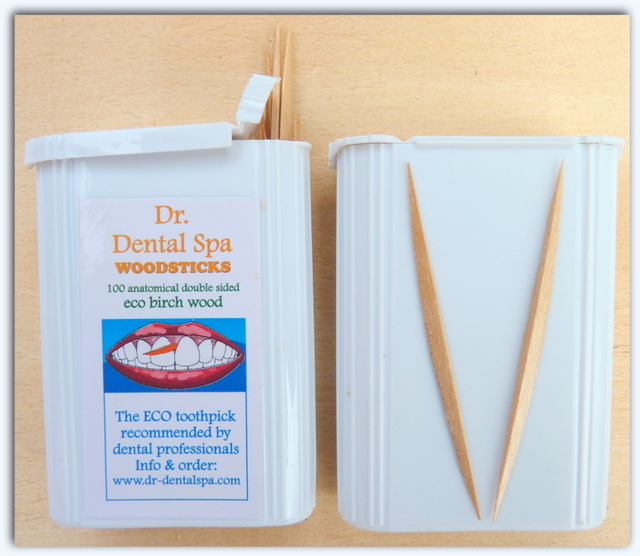 The spatula on the back of each stick can be used to remove debris from teeth surfaces. Selected Japanese birch wood guarantees splinter-free flexibility and strength. 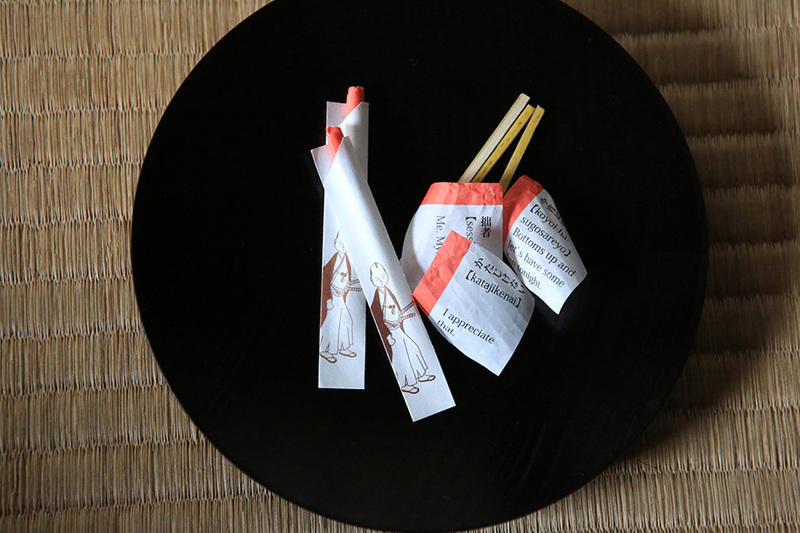 Japan Picks are not to be confused with toothpicks, which are simple and round shaped. They are not adequate for dental care due to their shape. 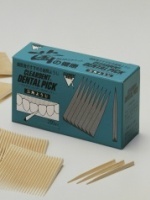 The Japanese birch wood picks with fresh mint taste combine the convenience of triangular-cut dental sticks with regular toothpicks. The triangular cut perfectly matches the shape of the spaces between teeth and cleans them without harming the gums. The spatula on the back of each stick can be used to remove debris from teeth surfaces. 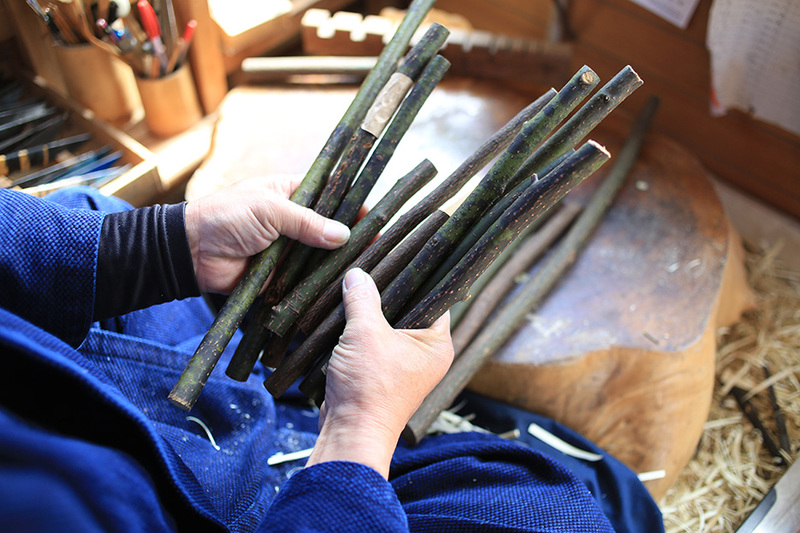 Selected Japanese birch wood guarantees splinter-free flexibility and strength. Perio Sticks™ fit comfortably between teeth, stimulate gums, and remove plaque and food particles like no other dental stick. Feels so good! Professionally designed for efficacy and comfort with a slim, yet curving, triangle profile. The above link provides you with a huge list of Australin Health food shops which carry Perio Sticks. Dr. Tung’s Perio Sticks Plaque Removers Thin fit comfortably between teeth, stimulate gums, and remove plaque and food particles like no other dental stick. It feels so good! Professionally designed for efficacy and comfort with a slip, yet curving, triangle profile. 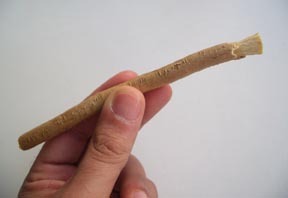 Perio Sticks are made from selected parts of the Nordic birch tree. 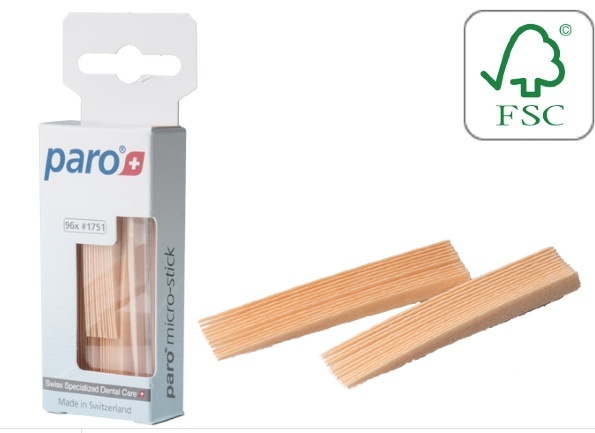 Only a small amount of the wood from each tree has the qualities for these shaped, flattened Perio Sticks – the wood must be both strong and flexible. The wood is harvested from sustainably managed forests in Scandinavia, and is not treated with dyes or flavoring. 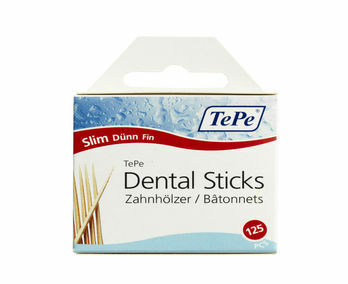 Even the Thin Perio Sticks are far thinner than regular toothpicks or any dental stick available at a drugstore. The shape and thinness allows them to easily penetrate between the teeth and remove plaque and food particles. Plus, they are so comfortable, you may find yourself recommending the clean feeling to your friends! The X-Thin Perio Sticks are the thinnest sticks availableTest anywhere and are especially useful for those with extra-tight spaces between teeth. Dr. Tung’s products have grown out of a passion for bringing healthy smiles naturally. Since their small beginnings, Dr. Tung’s has always been on the leading edge – they introduced the first commercially available tongue cleaner in 1997, before tongue cleaning was commonly known in the USA, and they now provide innovative products for fresher breath and healthier smiles to major natural supermarkets and health s tores across the country. Their philosophy is based on the concept of “total health” – an approach which emphasizes the role of oral hygiene in overall health. Good oral health is an integral part of overall health, and they integrate modern and traditional knowledge to produce highly effective products. 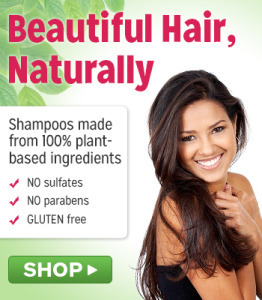 To deliver more effective, nature-based oral care products which contribute to improve health and well-being. 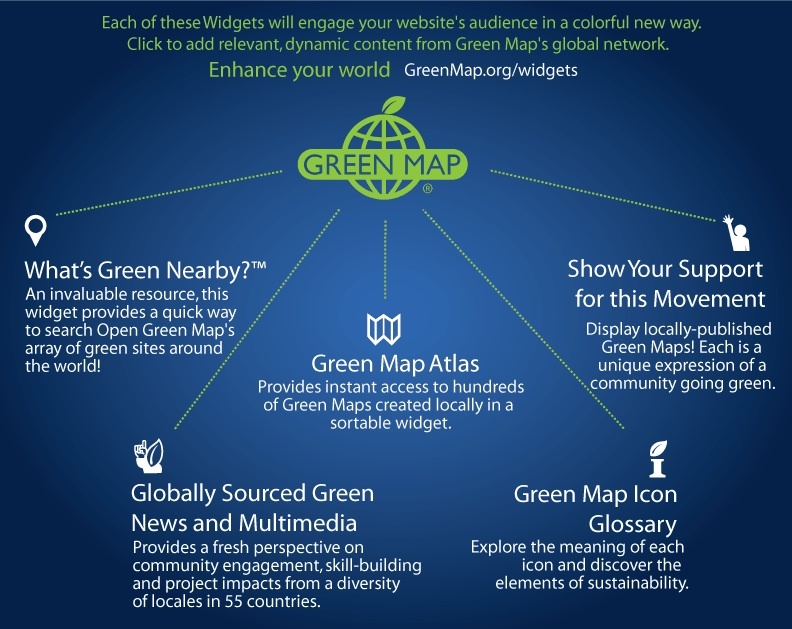 Offer high-quality benefits with the smallest possible environment footprint. They use only natural ingredients, most wild-crafted and organic, and have a long-term commitment to recyclable and biodegradable materials. Most of their plastic is made with EcoPure, an additive that allows the microbes in an active microbial environment to colonize on the plastic and digest the polymer. Yes. Teeth, breath and gums love Dr. Tung’s! I’m on the road a lot and during those times when I can’t brush my teeth, these are perfect. Small package with a sliding tin top. Easy to clean between the teeth and you can also use them to get under the sulcus (gum line) without causing bleeding. Don’t know how I got along without them! For healthy gums, especially as you grow older, ordinary brushing by any means is not enough. Using wooden sticks designed for cleaning between teeth I have learned through years of solid results is the preferred addition to brushing. I have tried various wood products; this one is superior to what you are likely to find in your local pharmacy. Why? Better wood is used, the kind of wood I discovered on a trip to Scandinavia where many restaurants provide quality sticks on tables. 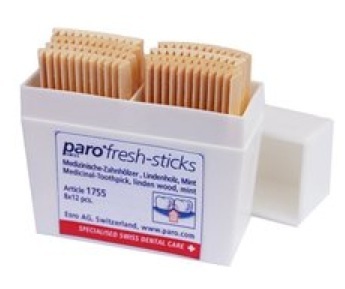 These Perio Sticks are also better designed, allowing use from both ends. They are very narrow, allowing you to get in between teeth that are rather close together. Most important to understand, is that wooden sticks are much better than various plastic products. Why? Because the wood does a better job of removing junk stuck on teeth; just remember as you use these to keep wiping the wood sticks clean as you keep cleaning between teeth. You may be amazed at how much stuff the wood picks up. JUST ARRIVED: NOW IN STOCK! Can’t get your usual toothpick any longer? Try Dr Barman’s! Some people prefer using a toothpick for cleaning the interdental spaces. 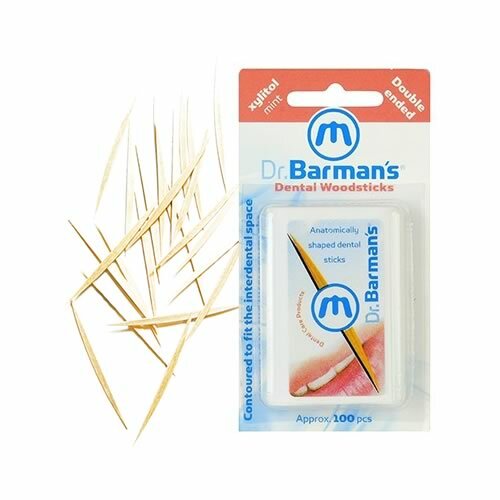 Dr. Barman’s Dental Woodsticks are made from Swedish birch. 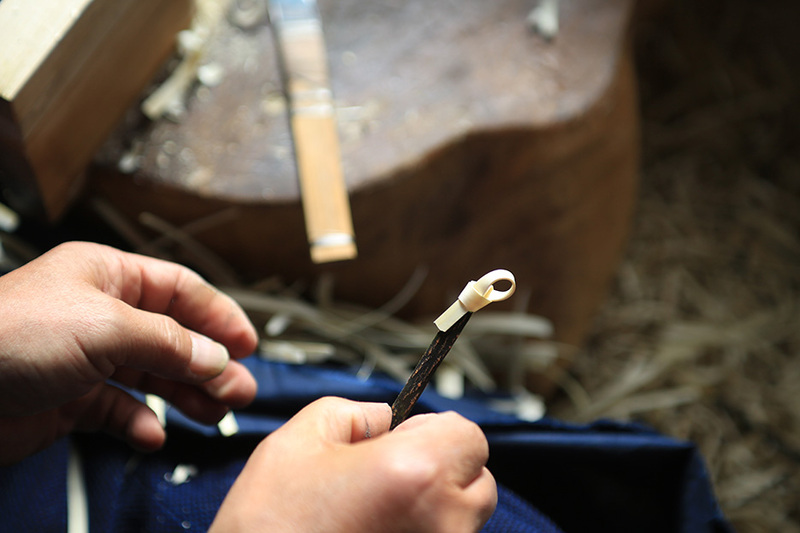 Their double ended format allows both ends of the stick to be used. Their slim pliable design conforms to the natural curvature of your teeth, for comfort in cleaning. Flavoured with mint and xylitol. Approx 100 toothpicks per pack. Buy 12 packs and save! Two intraindividual studies were performed on 35 persons treated for periodontal disease to investigate the plaque preventing effect of five different types of triangular toothpicks: Stim-U-Dent® (Balsa), Jordan® (Birch), Te-Pe® (Lime), Sanodent® (Birch) and Alfa® (a polymeric one) and four toothpicks of which three were wooden of the same shape and one was polymeric with a similar shape: Birch, Lime, Limba (Jordan A/S), and polymer (Fixident). Only teeth in contact with neighboring ones and with open interdental spaces were included in the study. The plaque-removing ability of the toothpicks was registered by estimating the amount of plaque accumulation at the end of each experimental period (2 weeks) according to a Plaque Index (Silness & Löe 1964) modified for plaque registration on 10 surfaces around each tooth. In a laboratory study, relevant properties of the toothpick material (modulous of elasticity, surface roughness, water absorbing capacity, surface hardness) were investigated and compared to the plaque preventing effect of the different triangular toothpicks. Using a questionnaire, the test person’s opinions on the surfaces, sizes, forms and rigidities of the toothpicks also were examined. Minor differences were observed between the plaque-removing ability of the different triangular toothpicks. No clear relations were observed between any of the properties of the toothpick materials, however, the surface hardness as well as the strength values of the toothpick materials seemed to be of importance. 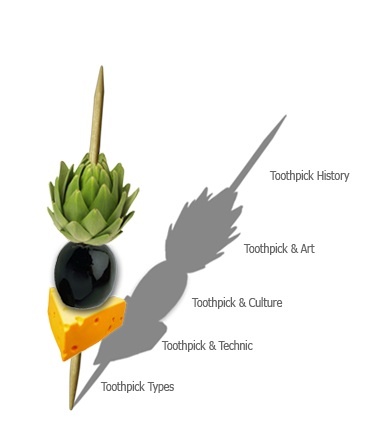 The conclusions of the present studies are that the plaque-removing ability of a toothpick seems to be more dependent on the shape of the toothpick than on existing minor differences among the materials used for their manufacturing. Low surface hardness and high strength values seem to be of importance for interdental cleaning. 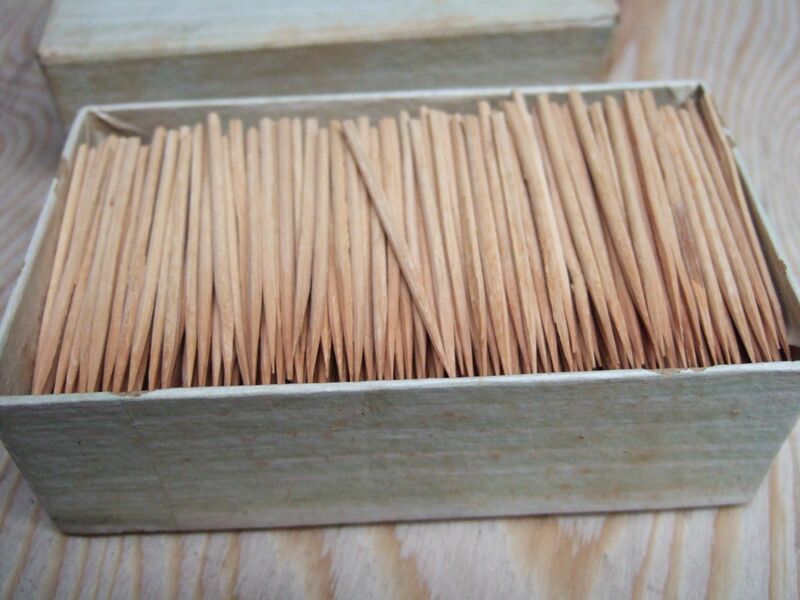 The first machine for the manufacturing of toothpicks, was patented on February 20, 1872, by Silas Noble and J.P. Cooley, of Granville, Massachusetts. As odds would have it, on the same date, in the same year, Luther Crowell was given a patent for a paper bag manufacturing machine. 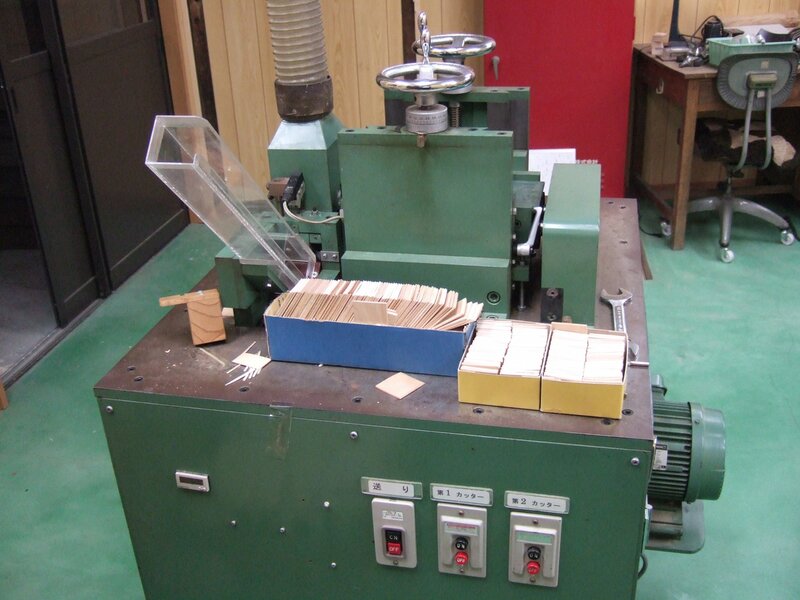 He is said to have invented the square bottom brown paper bag and the machinery to produce it. The one thing I have discovered while preparing these pages for Months of Edible Celebrations, is that history does not always agree with history. To find out more about the patents associated with the square bottom paper bag, checkout food check-out day listed in resources. 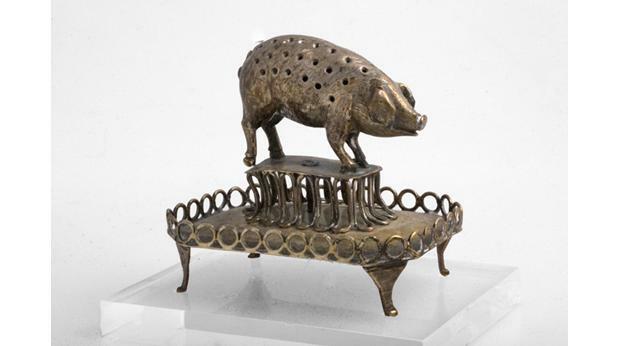 In China, a curved pendant, made of cast bronze was worn around the neck and used as a toothpick. In 536 BC, the Chinese mandated a law that required the use of the toothpick because their armies suffered from bad breath. The people of China also used the branch of the willow tree, a spicebush, a cedar, a peach tree, or bamboo as a toothpick. Picking your teeth during meals is quite acceptable in Chinese society. Fine dining Chinese restaurants provide individually packed mint-tipped toothpicks between courses as part of their banquet table settings. It is believed that the flavours of one course should not mingle with the next. 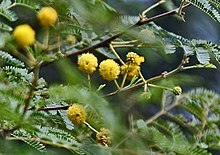 In India twigs from the Neem tree were used as toothpicks. Romans and Greeks were also avid oral hygiene enthusiasts. Pliny the Younger of Rome (61-113 A.D.) proclaimed that using a vulture quill as a toothpick would cause halitosis, but using a porcupine quill was acceptable because it ‘made the teeth firm’. At one time, you could tell a person’s status by what they used to pick their teeth. 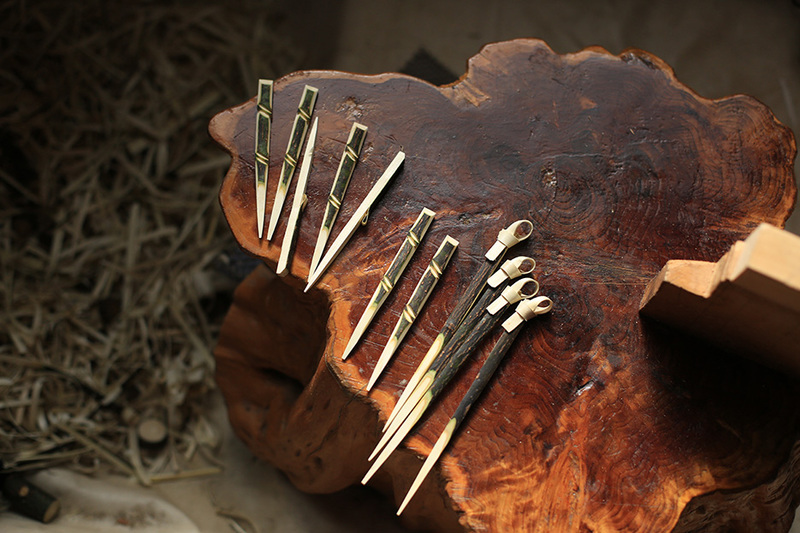 Kings, queens, and lords picked their teeth with designer toothpicks made from gold, silver, or ivory. 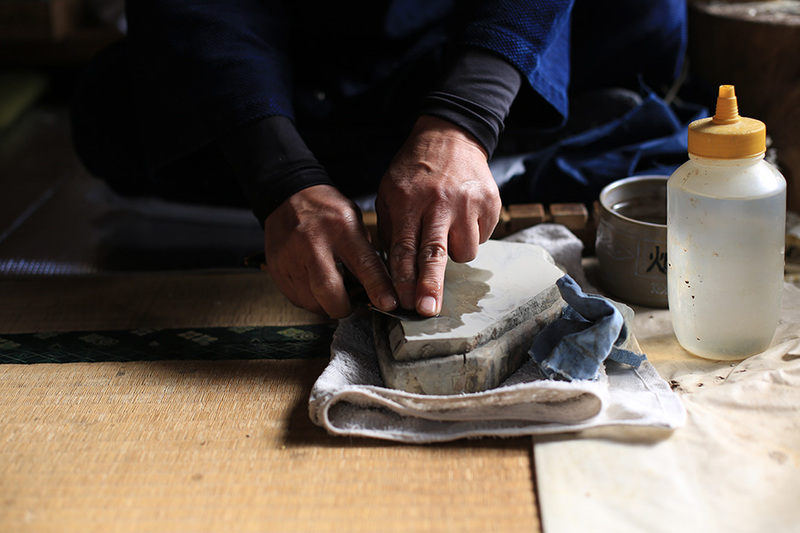 Often, they were inlaid with precious stones. Twigs and porcupine quills were most often used by the “lower classes.” By the 17th century, the toothpick was the latest fad for the educated classes in Europe they were even included in traveling sets together with a knife and spoon. In France, for example, toothpicks were served with desserts, usually poked into fruit to be handy following a meal. After they were used, they could be placed behind the ear for future use. “Chew sticks” became so popular that books on etiquette such as Tanhausers Court Manners often included advice on the proper use and acceptance of the toothpick. Picking your teeth during a meal was an absolute taboo. It could cause a person to be black listed from future social functions and cause a whirl of gossip. Even today, the toothpick hanging out the side of the mouth is found to be quite offensive and picking your teeth in public is still best to avoid. They Are Made by Peasants in Spain and Portugal. “I wonder how many of the men who come in here and use the orange-wood toothpicks,” said a man in an uptown hotel, “know where they come from arid how they are made? 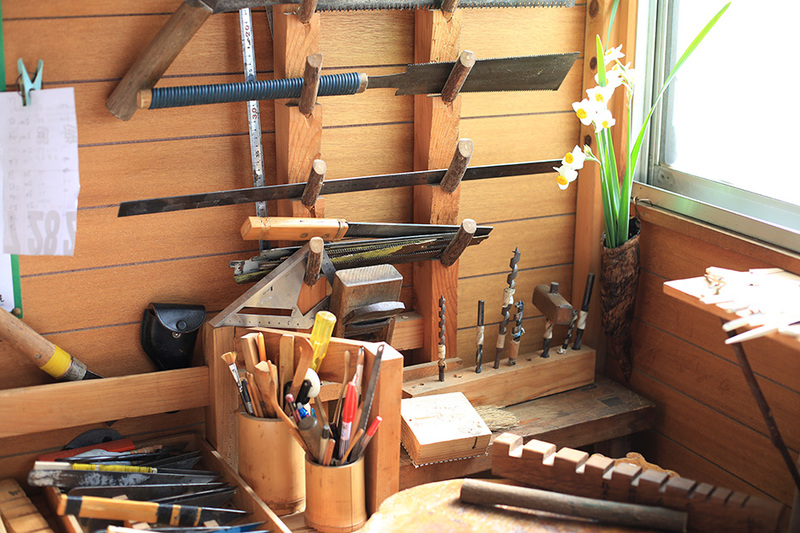 They are made by the cleverest whittlers in the world, and every one of them is of hand manufacture. The peasants in Spain and Portugal make them, and they first found their way into this country through the medium of steamship officers. 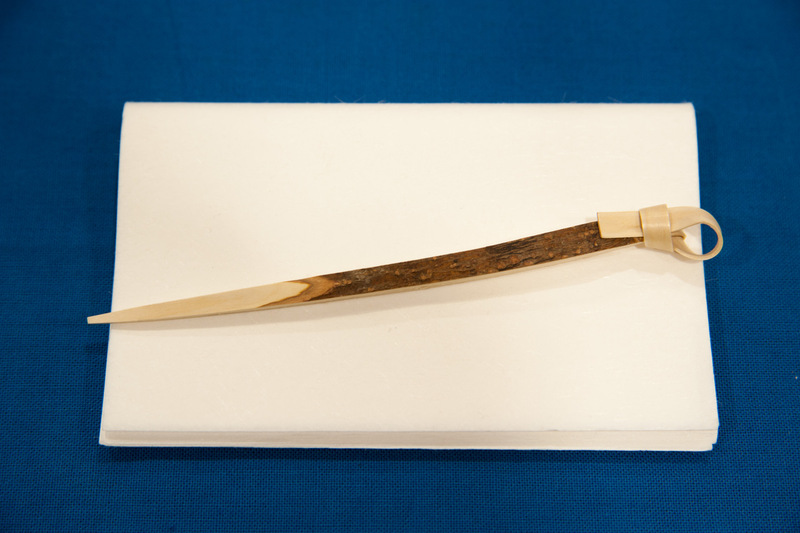 It is a fact that hotels in all parts of this country are using these orange-wood slivers now in preference to either quills or the old-fashioned toothpicks, and the demand for them here has been a perfect godsend to the peasants who make them on the other side. “A year or so ago I was in Spain, and saw the peasants making them. They could turn one out with three slashes of the knife, and it was their custom to do them up in packages of twenty and sell them to tourists and steamship officers for the equivalent of 1 cent of our money. At that time the peasants made them in their leisure moments, but now I am told many peasants make their living manufacturing toothpicks. You see the demand for them has increased to such an extent that the peasants can sell all they make. The steamship officers sell them here at a profit of about a cent on each package, which amounts to considerable when a large number are sold. “A peculiar phase of the matter is that not a cent of duty is asked for or paid on them. They were formerly received in such small quantities that no attention was paid to them, and the steamship officers are still able to get them in free, because toothpicks are the last things cus- . Toms officers are looking for. And as toothpicks they are really excellent. They are strong and flexible, and, instead of breaking, tear, so that there is no danger of the end suddenly breaking off and remaining in the tooth, a characteristic of the old Drittle toothpicks. It is a wonder to me that some one doesn’t make a business of importing them. . I believe that steamship officers have a monopoly of the business up to date, and I am sure that, there would be money in it for somebody if he snatched the business out of their hands.”— York Sun.